How AMAZING is the 'Pacey' platform from Nicole Richie's House of Harlow footwear collection. 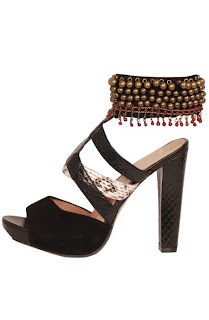 UK shop the-stylestore is the newest retailer to stock Nicole Richie's House of Harlow footwear. Click Here to see the range of HOH shoes they have available on their site.